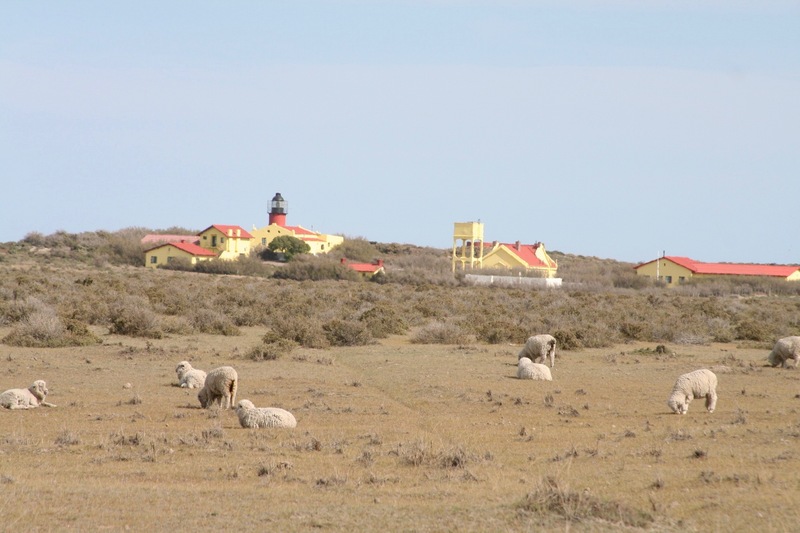 The tiny Patagonian village of Puerto Pirámides sits at the heart of Peninsula Valdes Nature Reserve, an UNESCO World Heritage Site encompassing both land and sea. 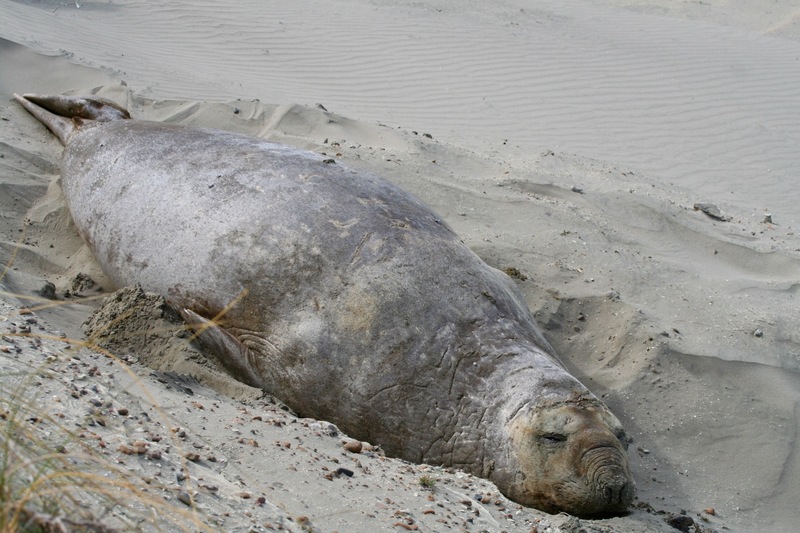 Famed for the mass of southern right whales that congregate here, and the pods of orcas that have developed a unique seal hunting technique, the area has much more biodiversity than its harsh environment suggests. 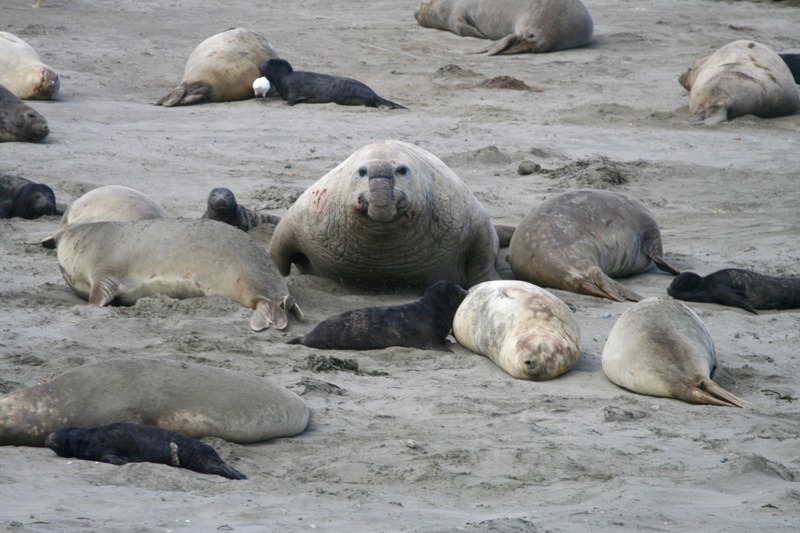 Populations of elephant seals, sea lions and Magellanic penguins thrive along the protected coastline, not to mention the dozens of varieties of sea birds that also flourish here. Sheep estancias dating back to the 19th century occupy the peninsula’s interior, and there are sheep everywhere, but even in this barren landscape there is a wide variety of extraordinary creatures. We frequently saw groups of guanacos, one of the camelid species endemic to South America. 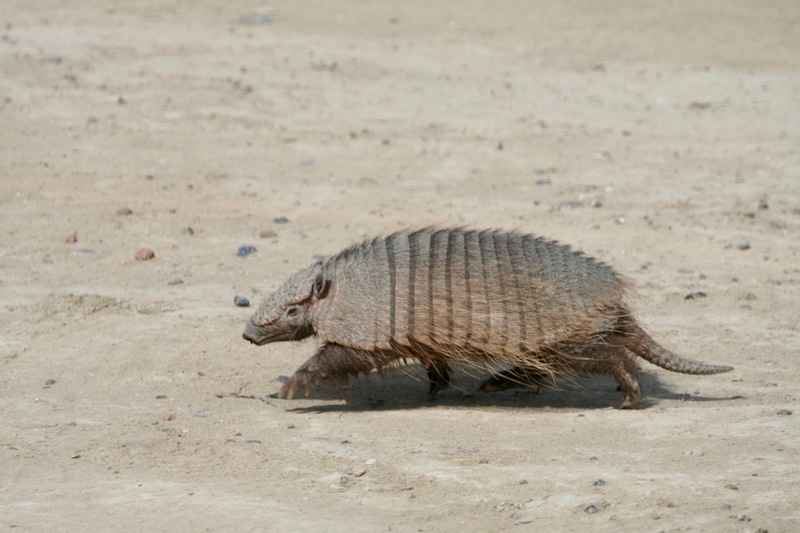 We had only one sighting of the ostrich-like rhea, but did manage to come across a couple of hairy armadillos, known locally as peludo. 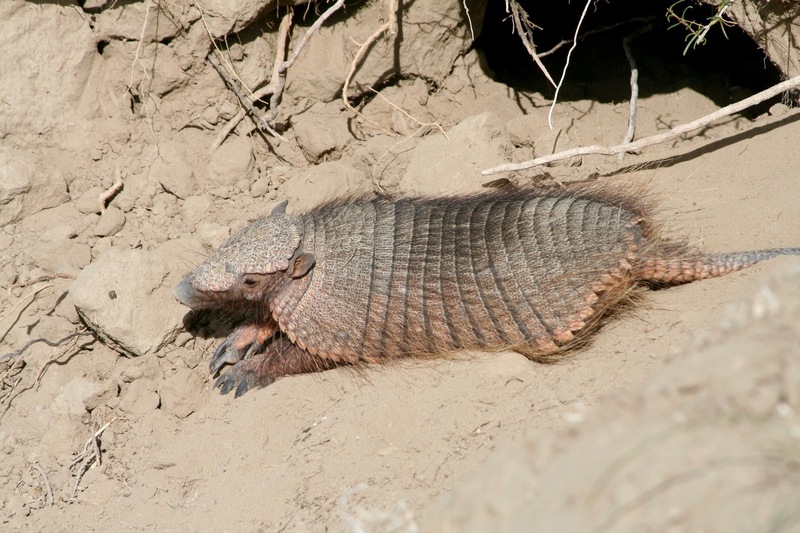 I’d hoped to spot a mara, a large hare-like relative of the guinea pig, but they remained illusive. 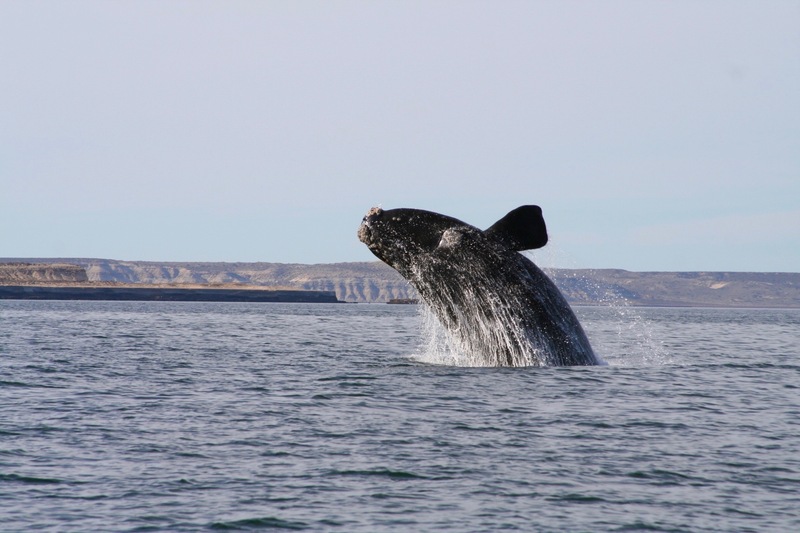 After an exhilarating day of whale watching we were heading to Trelew for an onward flight, but first we did a circuit of the peninsula. 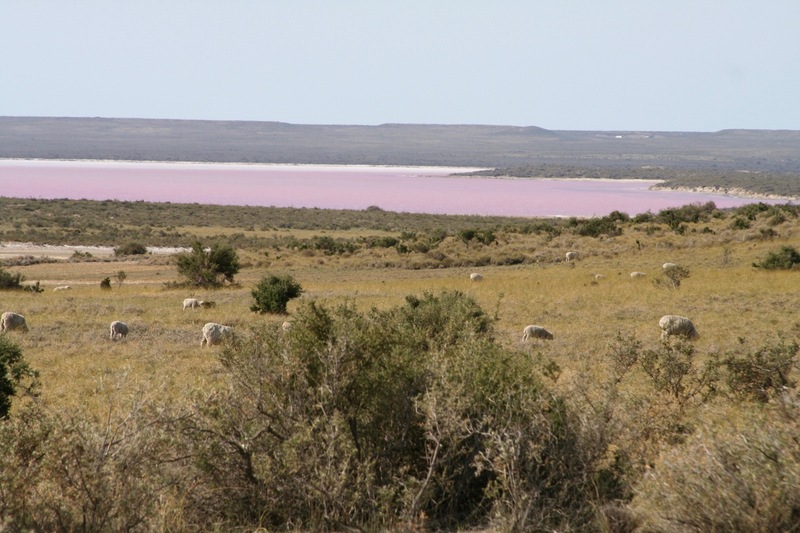 The vast empty landscape we drove through to Punta Delgada, on the southern tip of Peninsula Valdes, included the pink salt lake that was once mined commercially. It was a mesmerising landscape. 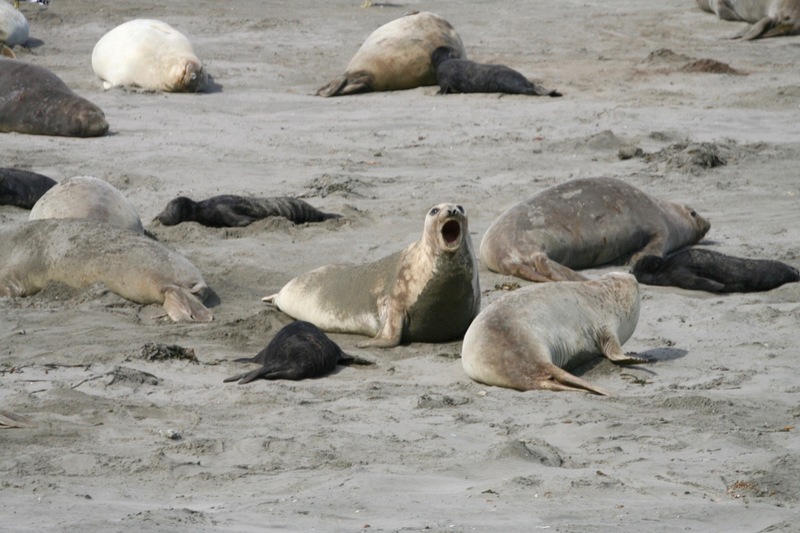 Beneath vertical cliffs a group of sea lions make their home on a Punta Delgada beach. 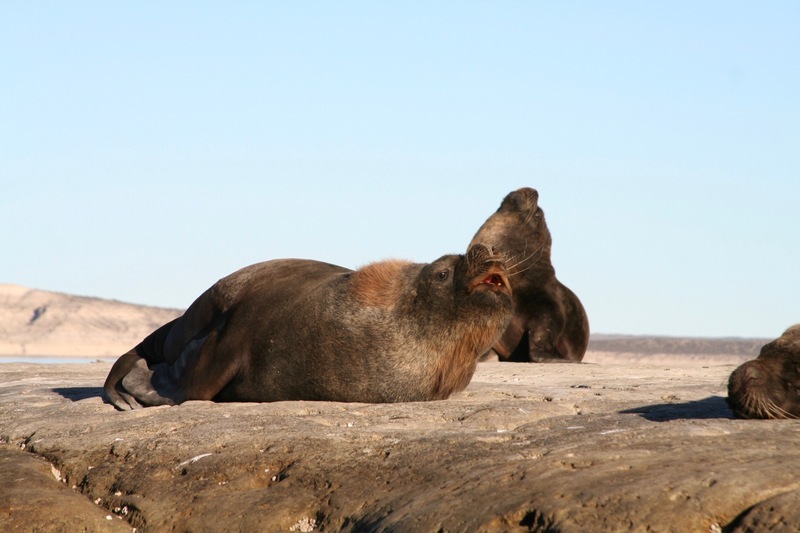 We spent some time walking around the lighthouse and watching the sea lions before heading to Caleta Valdes. 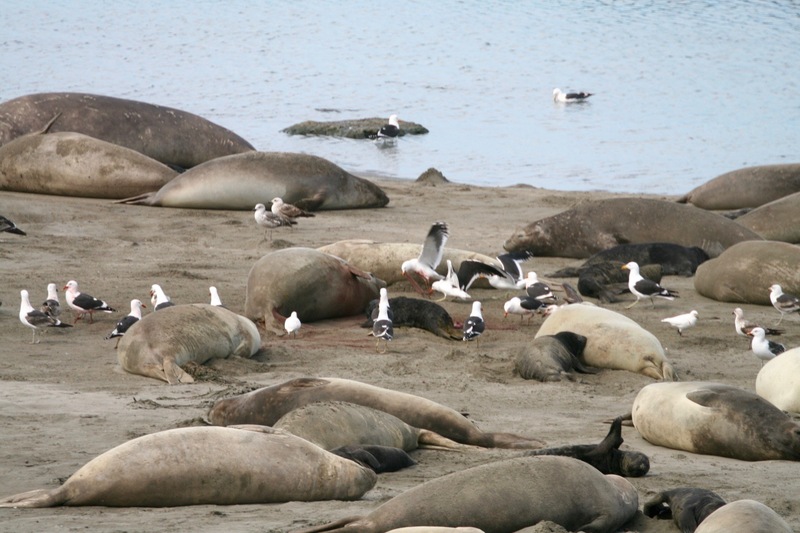 Caleta Valdes is the start point for a lagoon formed by a 30 kilometre-long sandbar, it’s a dramatic place to view elephant seals. 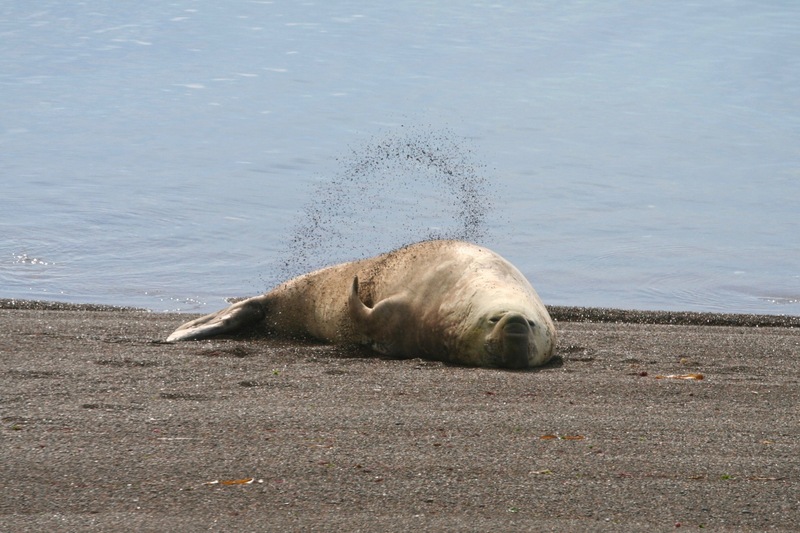 The male seals are massive, growing up to six metres in length, and are extremely aggressive protecting their harem from rivals. Dominant bulls establish harems of dozens of females, letting out roars of displeasure as they noisily defend their territory. Around the beach there were females giving birth and feeding young pups as seagulls swooped down to fight over the placentas. It was a pulsating mass of activity. As we watched, a huge male, upset by something, came careering through the mass of females and pups with remarkable speed and massive force. Despite the protestations of the females, it seemed impossible that one or more pups wouldn’t get crushed in the mayhem. 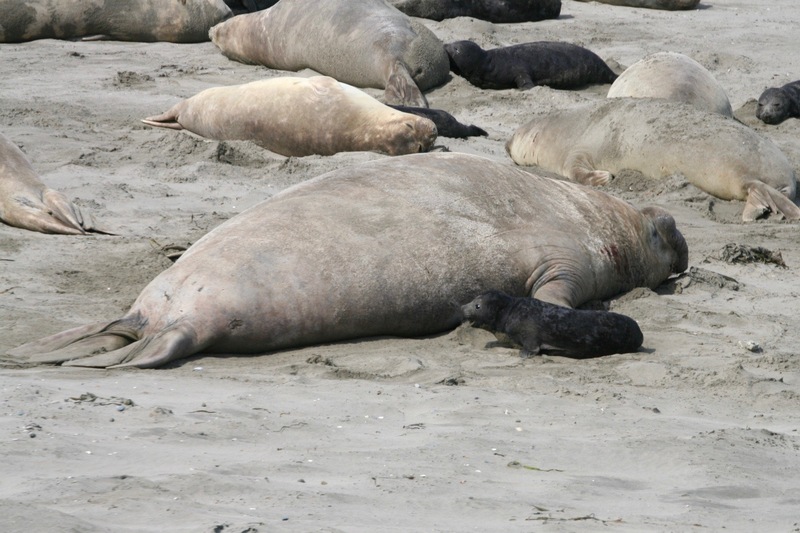 Twice we saw pups disappear under the male marauder, miraculously, there were no casualties. 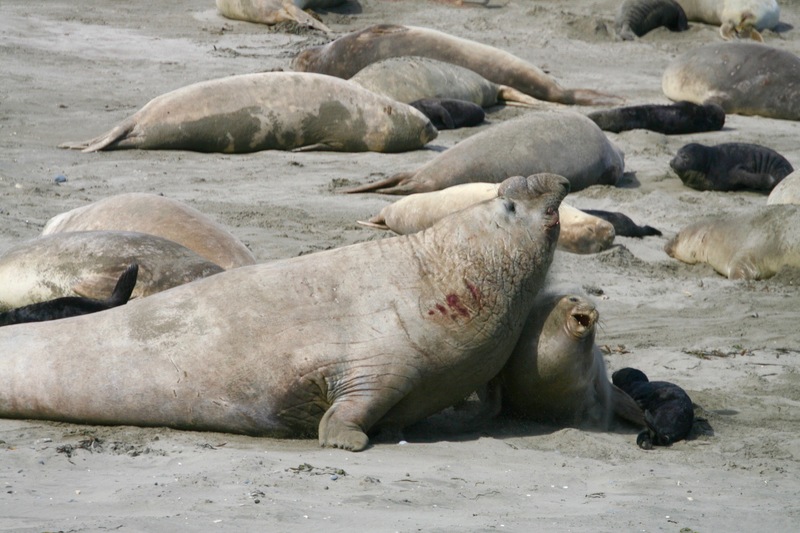 Elsewhere we witnessed one cunning male hijack a female as she came out of the water in an attempt to start his own harem, other lone males lurked on patches of sand. 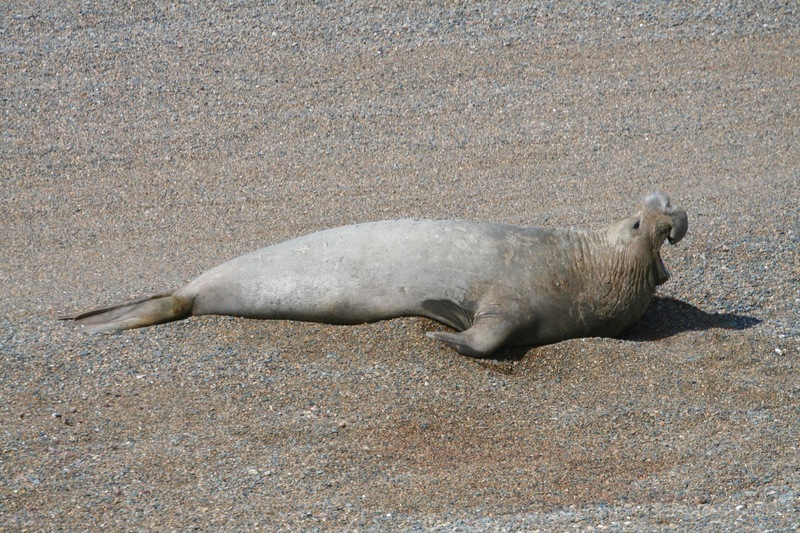 We headed north along the gravel road to Punta Norte Reserve where, every March and April, the colonies of sea lions and elephant seals are terrorised by ingenious pods of killer whales. Intentionally beaching themselves in a high risk strategy, the orcas of Peninsula Valdes are unique. Seeing them will have to wait for another trip. 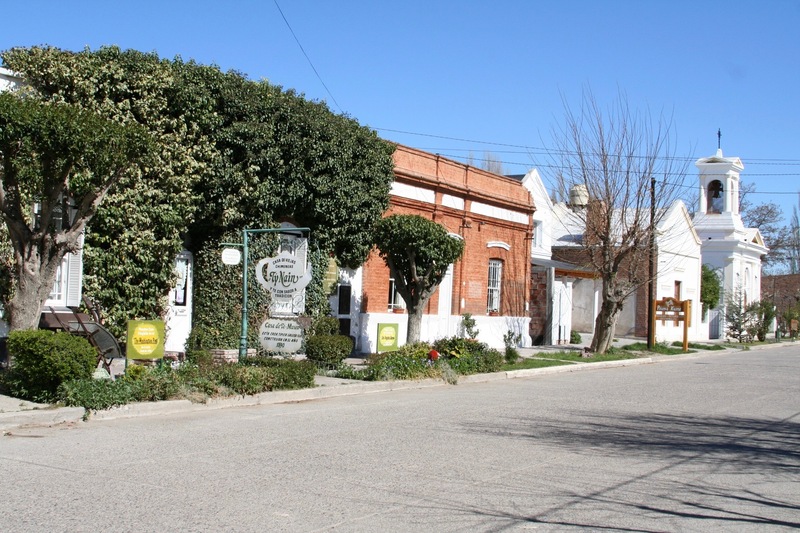 Close by is the Estancia San Lorenzo, a working farm but also a hotel and restaurant that has its own colony of Magellanic penguins. We stopped for a delicious asado of lamb before making the seemingly endless journey first to Punta Tombo and then to Trelew. 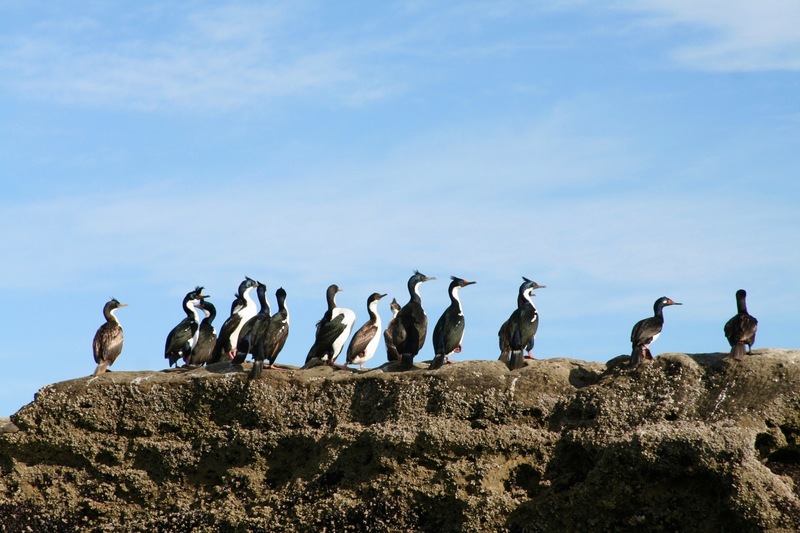 We decided to drive the nearly 300 km to visit Punta Tombo because it’s home to over 200,000 pairs of Magellanic penguins, the largest colony anywhere on the planet. 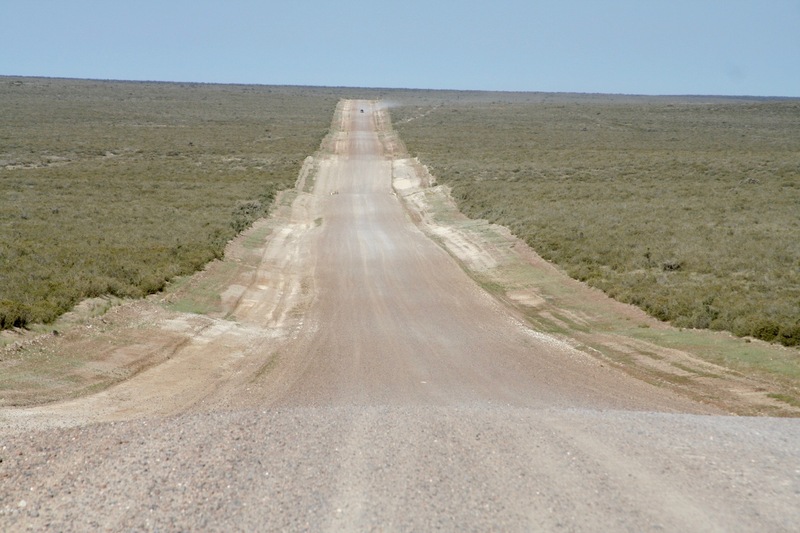 The endless tedium of the Patagonian landscape had us wondering whether the journey was really worth it. Once we were walking through the nesting penguins (they build burrows in the earth), with sweeping vistas over the ocean and herds of guanacos in the distance, it definitely seemed worthwhile. 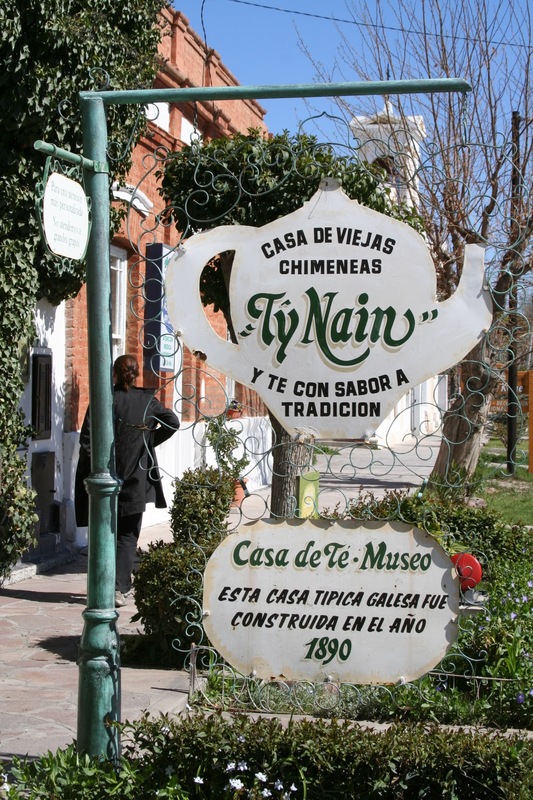 We spent our last Patagonian night in the Welsh town of Trelew. 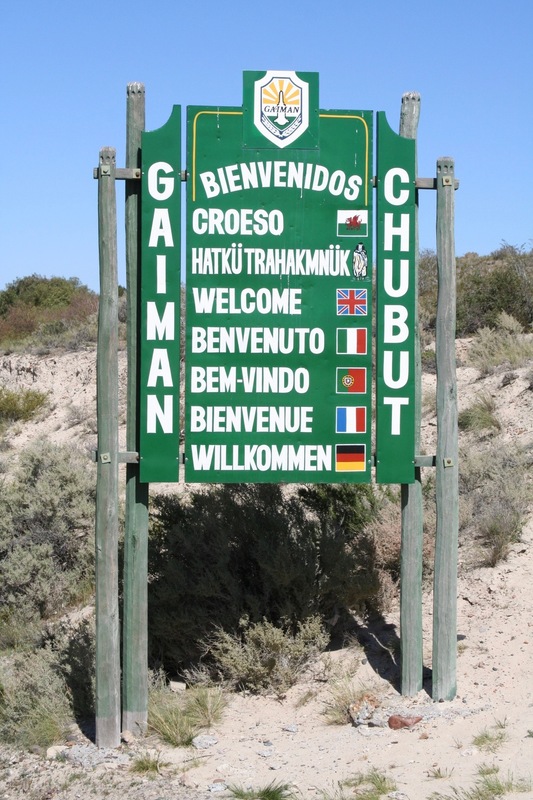 In the morning we had time to visit the Welsh village of Gaiman. This region was settled by Welsh nationalists intent on escaping English political and cultural repression to maintain Welsh culture intact. The first wave of 153 colonists arrived in 1865. The group included few farmers and only one person with any medical knowledge, a bit of an oversight if the colony was to survive in a semi-arid climate they’d been mis-sold as an earthly Garden of Eden. There were many setbacks that almost destroyed the colony, but at the start of the 20th century over 4,000 people of Welsh decent were living in the region. Ironically, later immigration was mainly from Italy and other European countries, the Welsh became a minority and their cultural identity was again threatened. Today, the Welsh language is still spoken, alongside Spanish, there are Protestant churches and Welsh tea shops, and even an annual Eisteddfod festival. It’s quite bizarre. 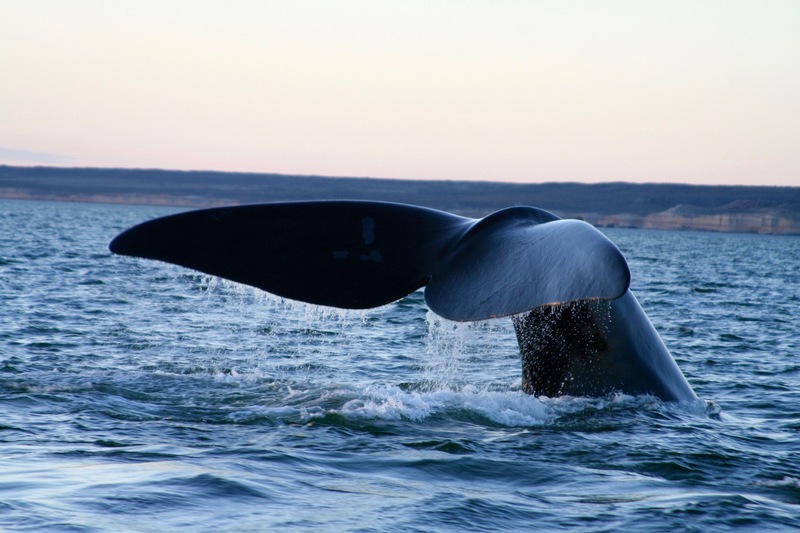 The vast coastline of Argentina, some 4,989 km long, is home to numerous magnificent sights, but none quite so extraordinary as the sight of one of the greatest gatherings of whales anywhere on the planet. 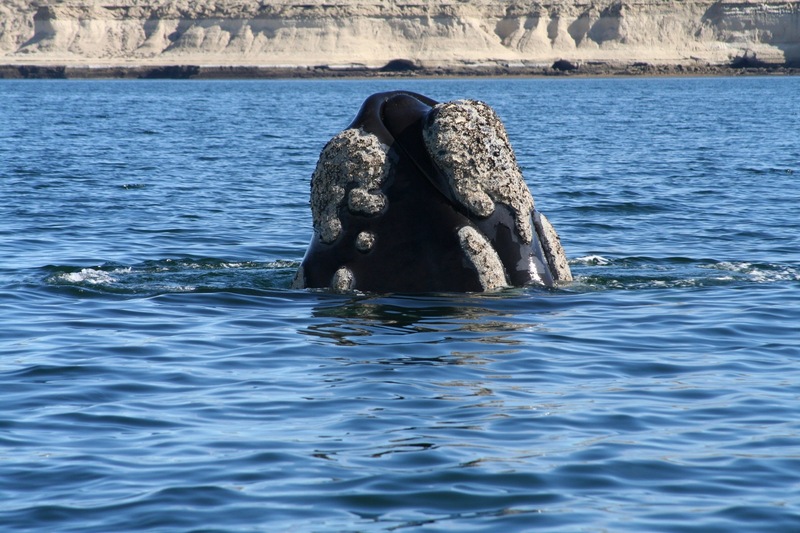 Hundreds of Southern Right Whales arrive in the area around Península Valdés, an odd-shaped protrusion on the Patagonia coast, between May and December. 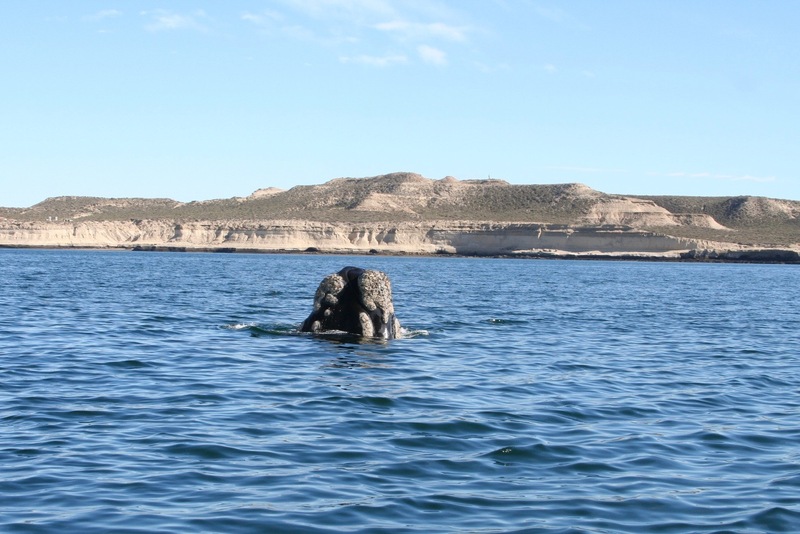 They come here to shelter in two natural bays, Golfo San José and Golfo Nuevo, where they calve and raise their young in relative safety away from pods of Orcas that hunt along the coastline. 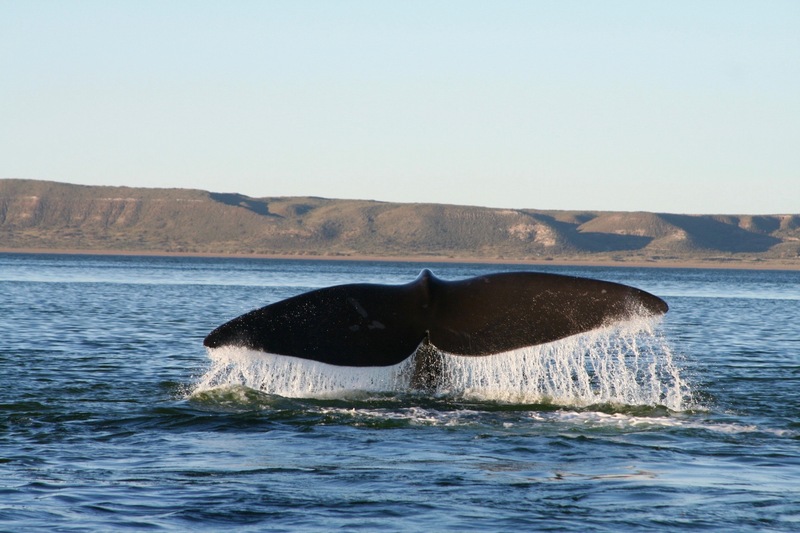 There are so many whales, and they come so close to the shore, that you can see them from the cliffs overlooking the South Atlantic. 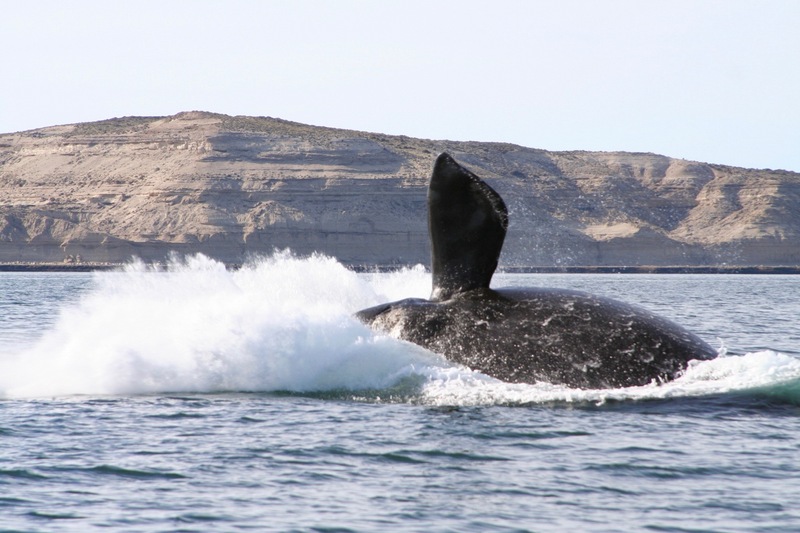 Driving to the small village of Puerto Pirámides, the jumping off point for whale watching boat trips, we saw several whales close to shore. 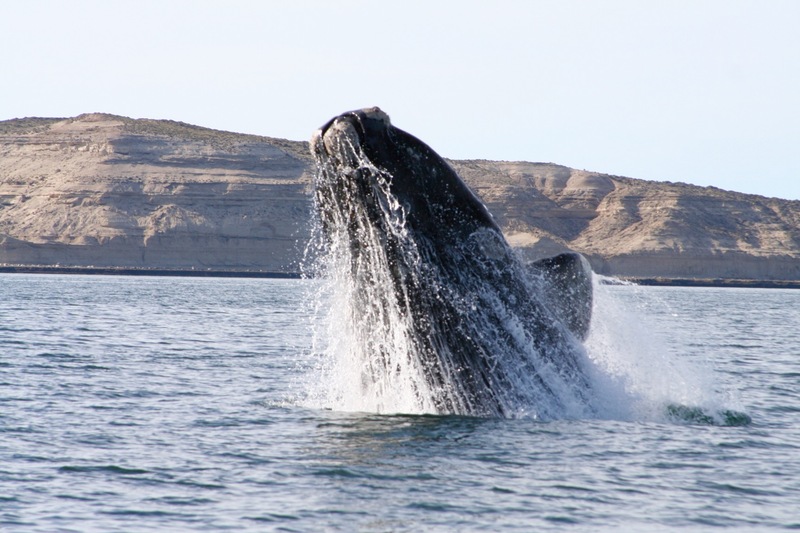 We could even see them from the air as we came in to land in Puerto Madryn. 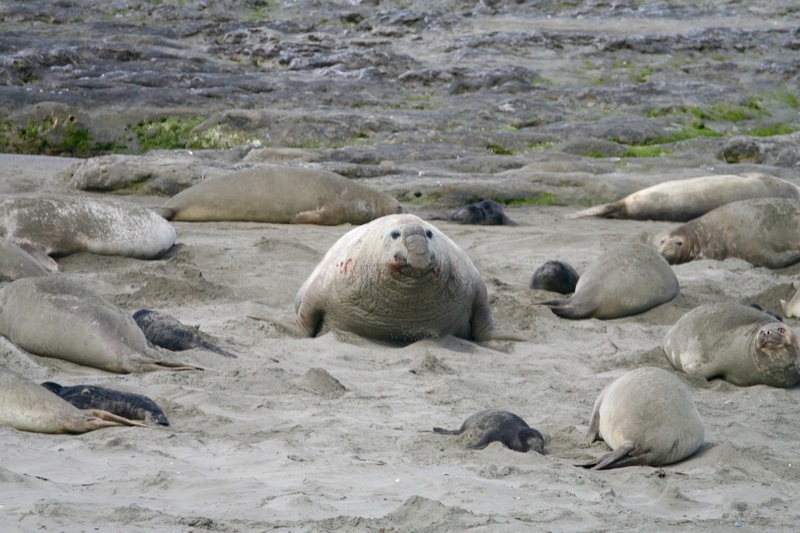 This area is a site of global significance for marine mammals – elephant seals, sea lions, orcas and Magellanic penguins to name a few – but it’s the Right Whales that steal the show. 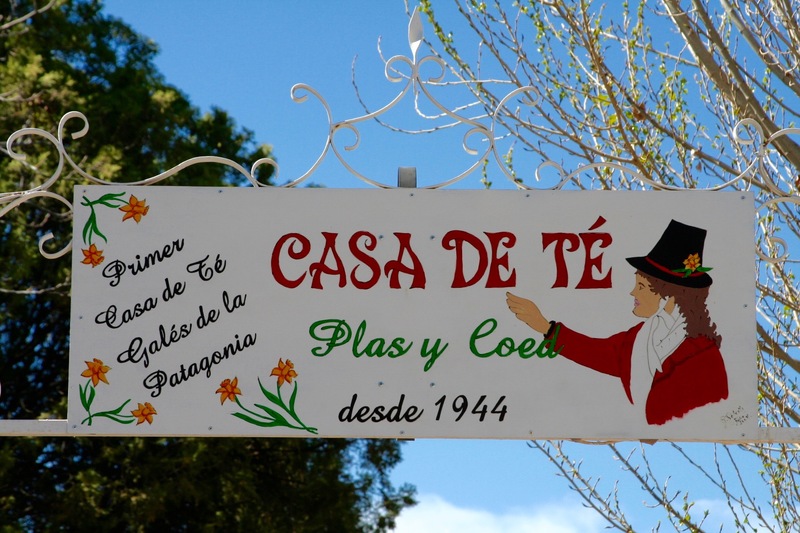 The joke has been made before, but this bit of Argentina is home to both whales and Wales, or at least the decedents of 19th century Welsh settlers who were lured here in the belief they were going to a verdant paradise. It’s no surprise that there are so many sheep in this part of the country. 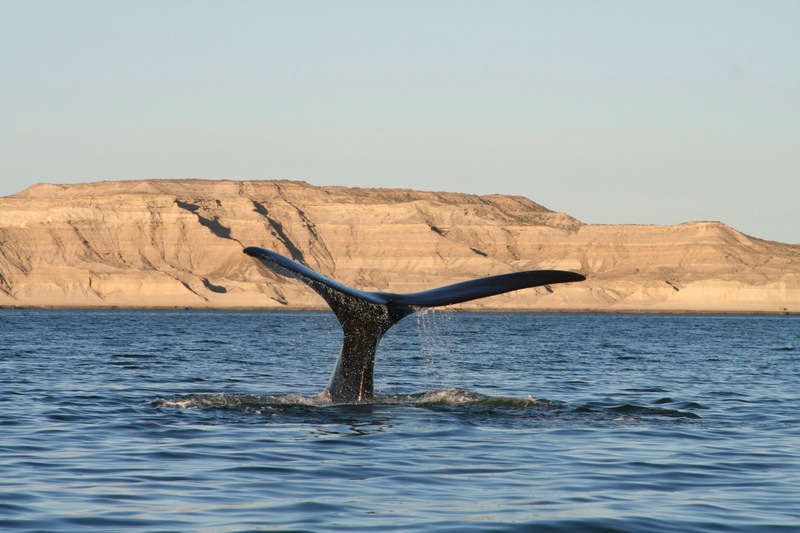 We stopped briefly in Puerto Madryn to check out some of its Welsh heritage before driving over to Puerto Pirámides, the sleepy former salt port that is now the epicentre of Argentinian whale watching. 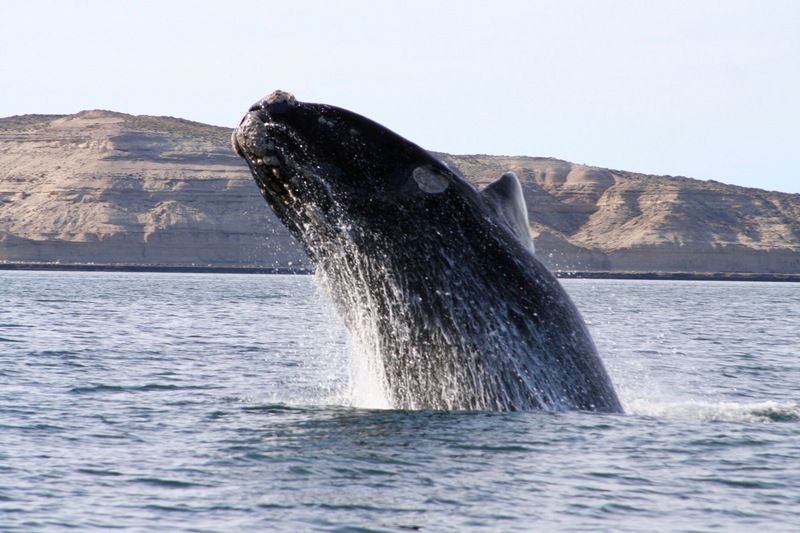 We’d booked a couple of nights in a self catering apartment, and were up early on our first morning to go out into Golfo Nuevo in the hope of encountering some whales. 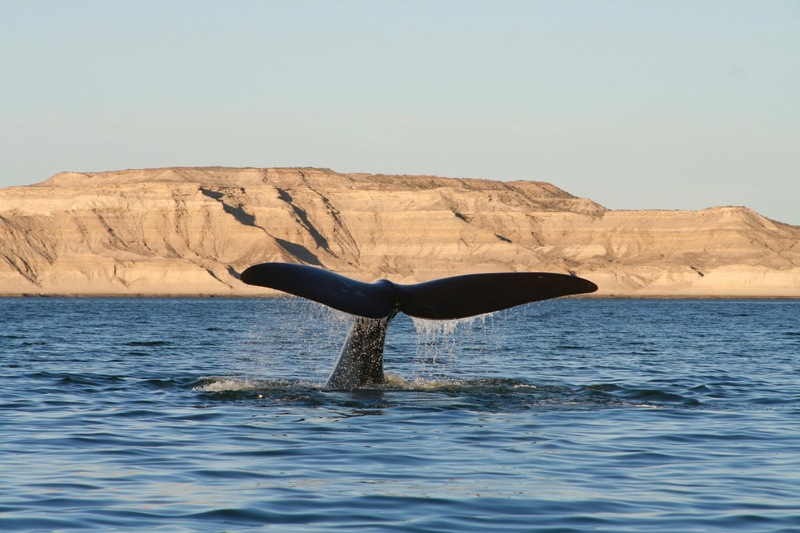 Morning is the best time to see the whales at their most active. 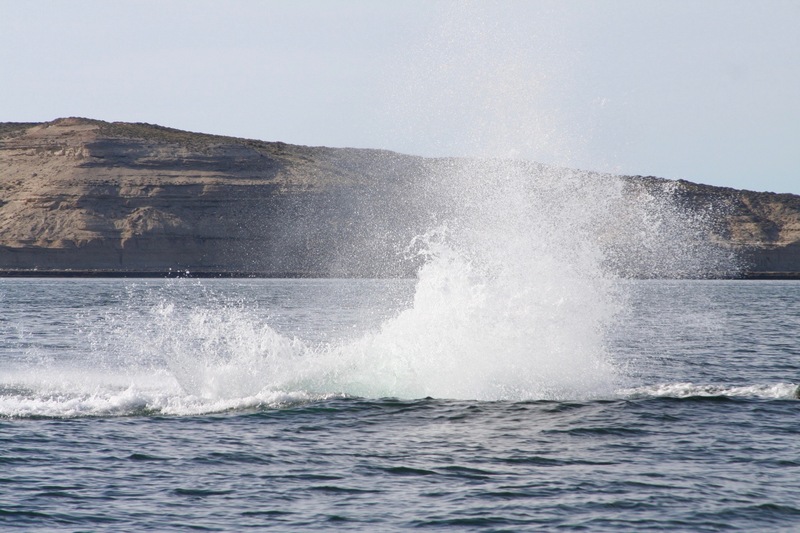 Their behaviours alter during the day, but in the crisp morning air we saw them breaching, spyhopping and lobtailing. There seemed to be whales everywhere, on a couple of occasions they came close enough to our small boat to be worried we might all end up in the water. A couple of hours later we were back on shore utterly exhilarated. 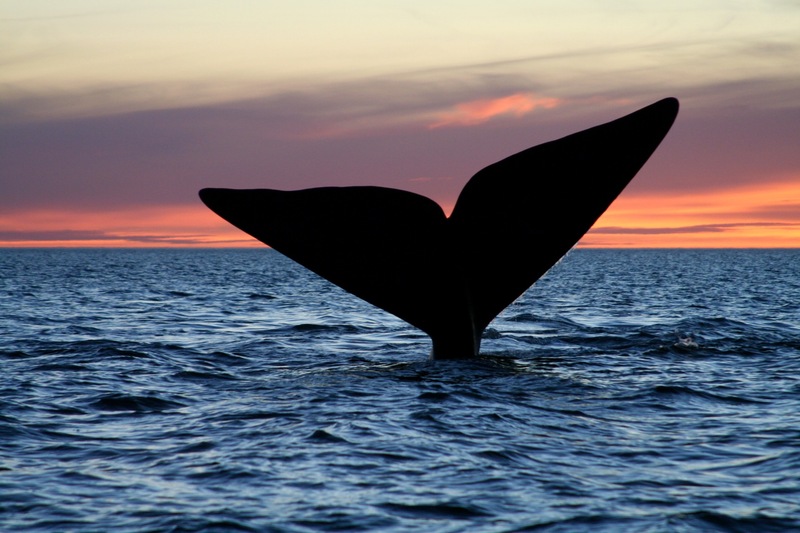 The natural world has many wonders, but a leaping whale must rank as one of the most wondrous of all. 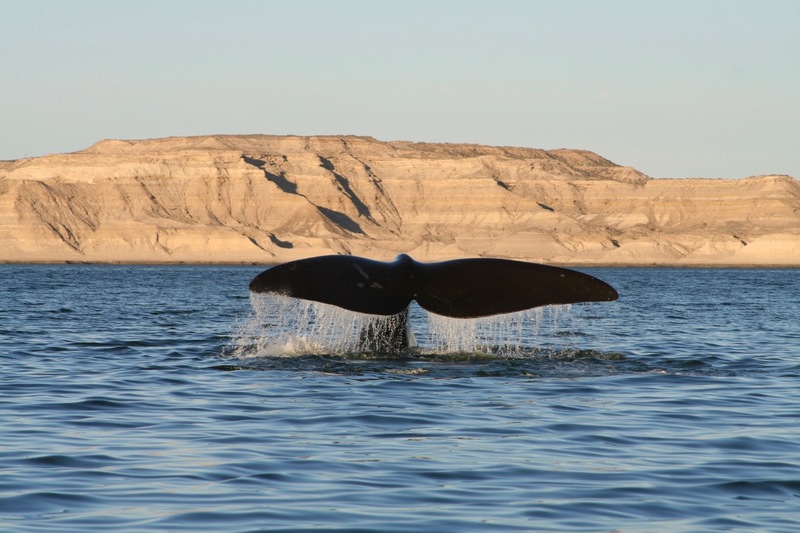 We decided we’d book a return trip that evening to see the different behaviours the whales display at the end of the day. A few hours to spare, we drove up to a nearby estancia for lunch, which inevitably had to be lamb, before heading back to take the evening trip into the bay. 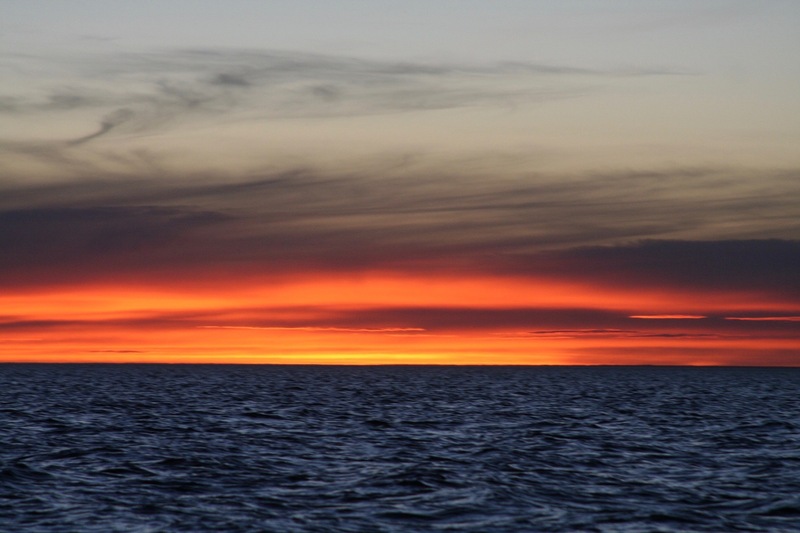 We sailed into the blue waters as the sun began to set, and we were treated not only to an amazing display of whale activity but vibrant red-orange skies. 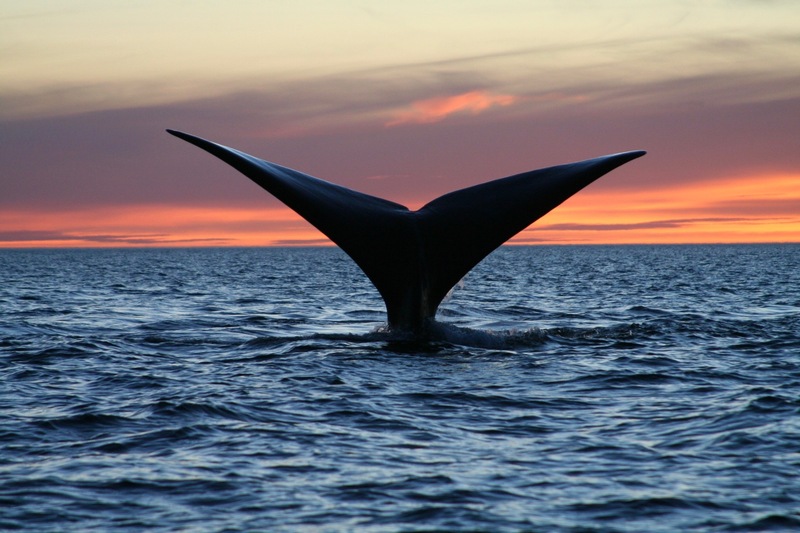 There’s no breaching at this time of day, but whale tails can be seen appearing out of the water in behaviours known as ‘fluking’ and ‘sailing’. We were in a small boat with only two other people and it felt like we had the entire ocean to ourselves. I could have stayed out on the water all night, but we had a bottle of malbec in the apartment that wasn’t going to drink itself, and this was an experience to celebrate. 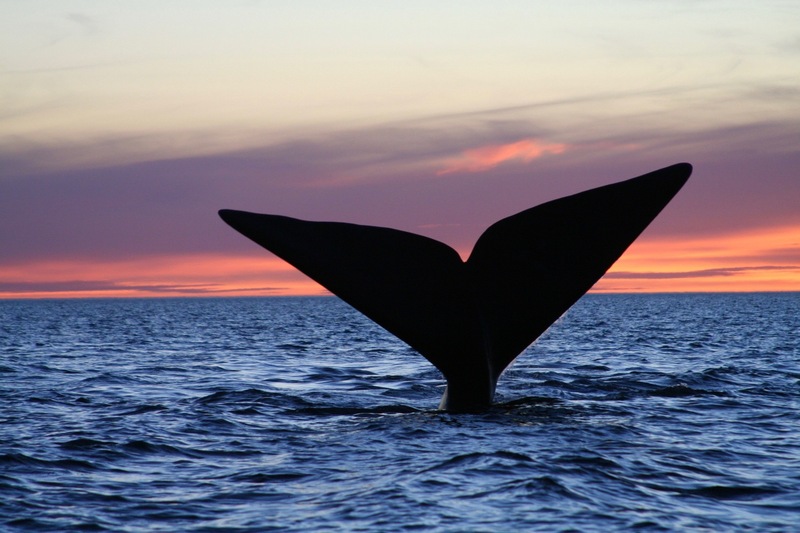 It’s something of a miracle that we are able to witness any of this today, because this species of whale was hunted almost to extinction in the 19th century. 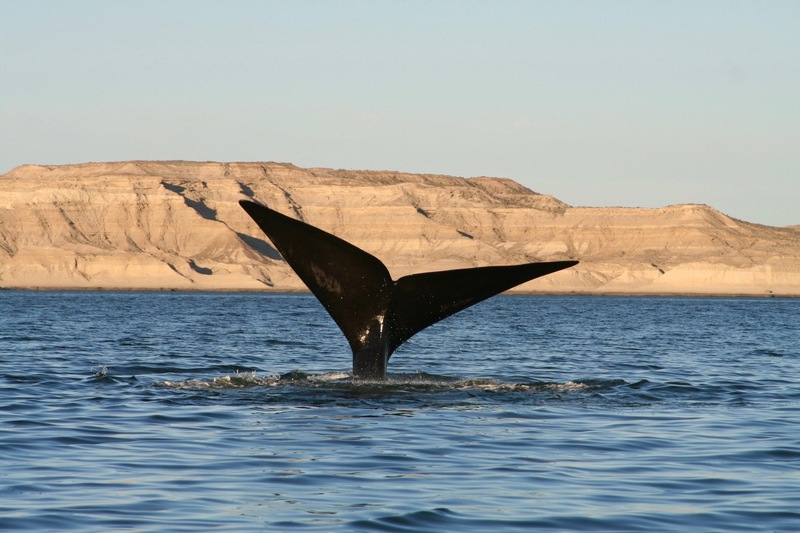 They gained the name “right” whale, because they were one of the favourite whales for hunting: they swam slowly, stayed close to shore, and floated when killed. The hunting of them began in the 17th century, but escalated sharply in the 18th and 19th centuries. 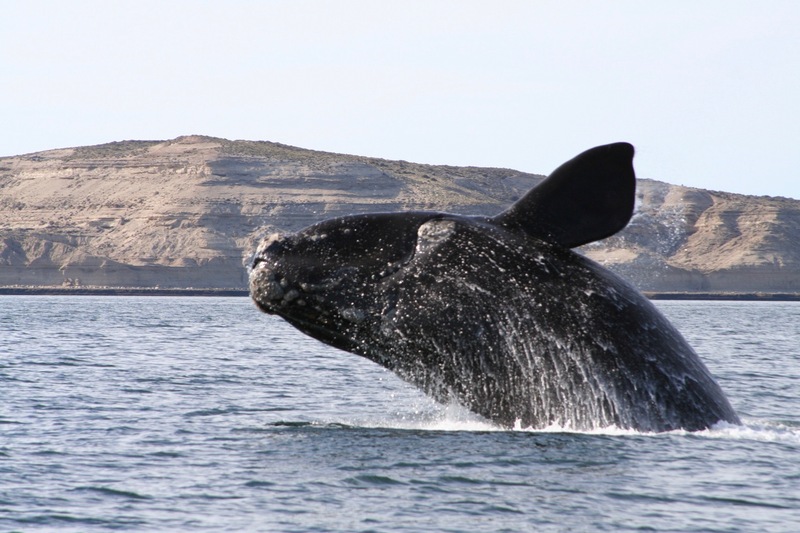 In the 1830s alone, some 60,000 Right Whales were killed. 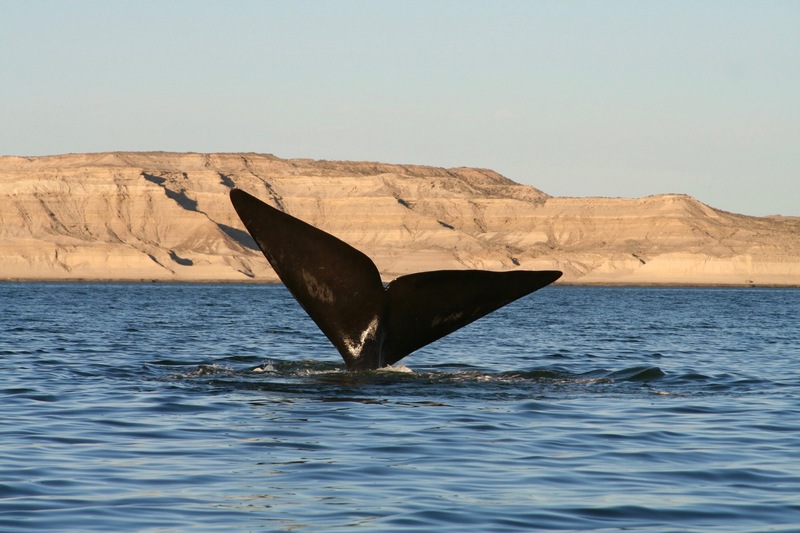 All-in-all, it’s believed that 150,000 Right Whales were ‘harvested’ before they were finally protected in 1935. 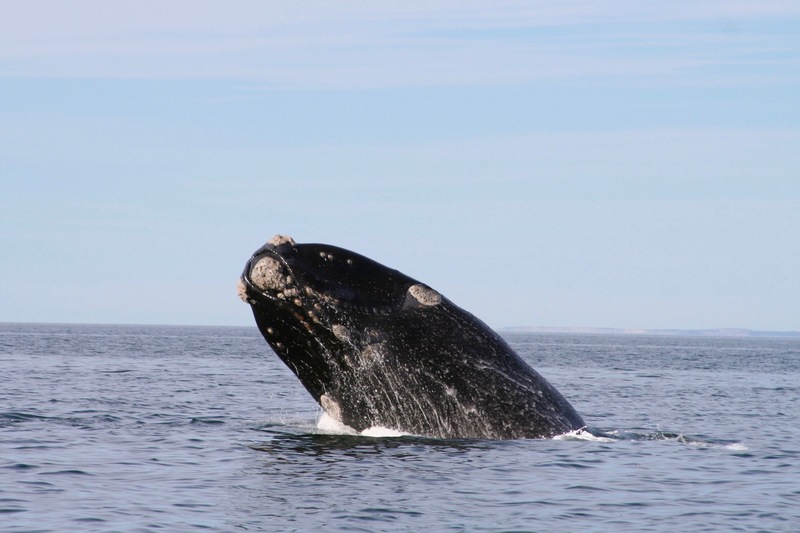 Amazingly, by that time it was estimated that, on the entire planet, only around 300 Right Whales survived. It’s lucky they don’t hold a grudge. 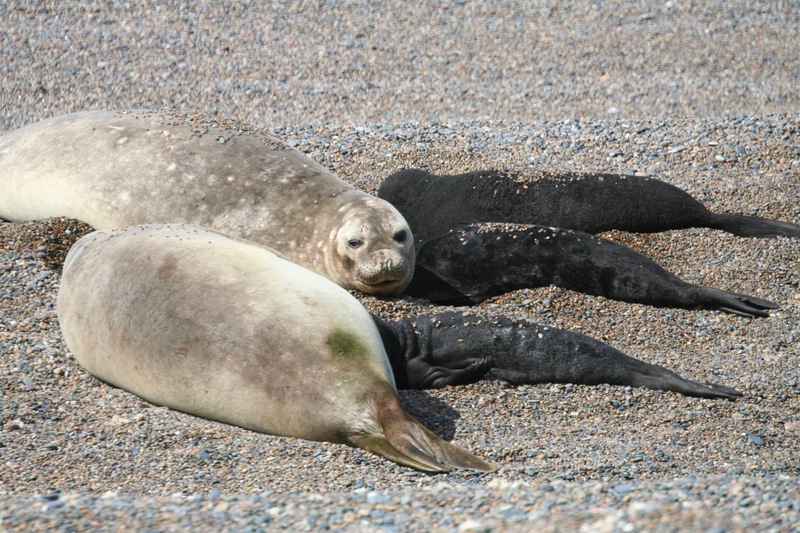 It has taken eighty years for their numbers to recover to a global population of around 10,000. 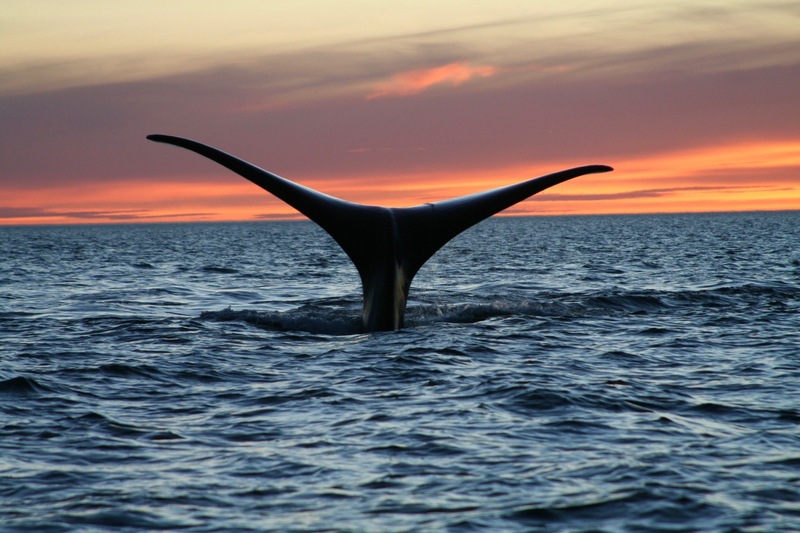 If there was ever an advert for the insanity of humanity’s greed and ignorance, the near extinction of the Right Whale is it.